The most pouches offered in the OxyLights™ Tool Belt Series. 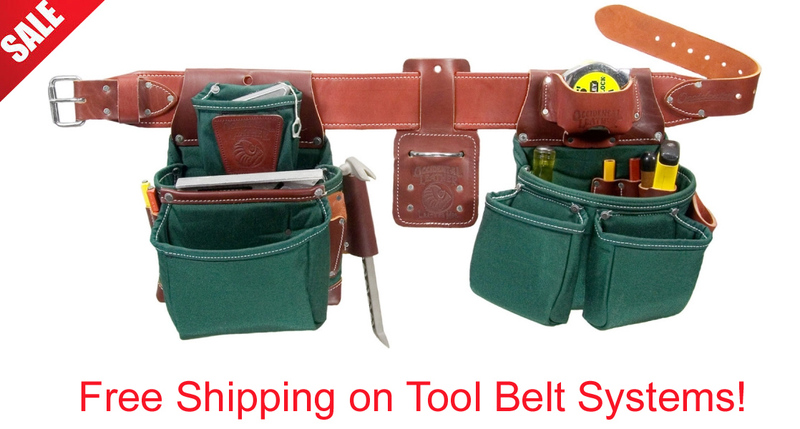 The same tool holder organization as the 5089 leather tool belt but offered in nylon.Leather and industrial nylon intelligently combined to lighten the builder’s load. The trademark OxyRed™ leather reinforces the main bag corners as well as provides our NoSpill™ system of all leather tool holders. Our most popular designs in a lighter weight alternative. Leather and synthetics intelligently combined. These industrial nylon bags lighten the Professional Carpenter's load while providing the best of both worlds with all leather tool holders. Benchmark style and design with less weight. The Oxy Lights™ Pro Framer™ features the No Spill™ system and the same hand-specific tool holder design as our traditional all-leather systems. Bag corners are reinforced with trademark Red Hiker leather.